Making my own jewelry is fun and easy, and best of all inexpensive. If I see something I like, often times it doesn't take much to figure out how to recreate it for myself. 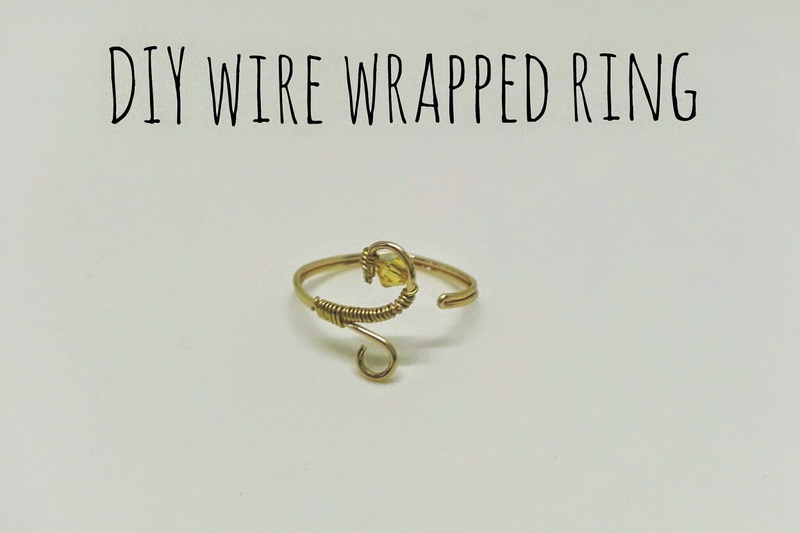 All you need to make this wire wrapped ring is wire, a pretty bead, and a few tools, like wire cutters and needle nose pliers. For this project I used to gauges of wire 20 and 28. Remember the higher the gauge number the thinner the wire, and vice versa. You can use any color wire but this time I made only gold and silver rings. The beads I chose to use were genuine Swarovski crystal. They're so beautiful and sparkling, and catch a lot of light. 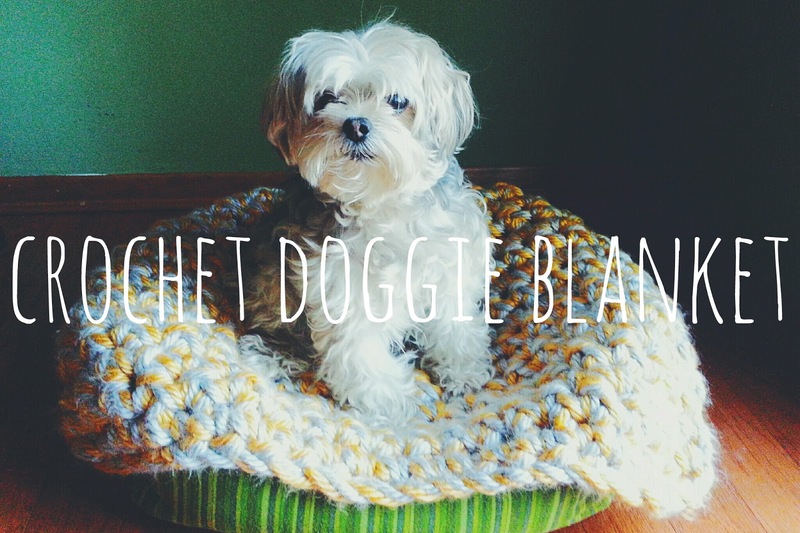 They also come in a variety of sizes, cuts and colors. Oftentimes most of my beading supplies come from Michael's craft store but another great source is Fire Mountain Gems. 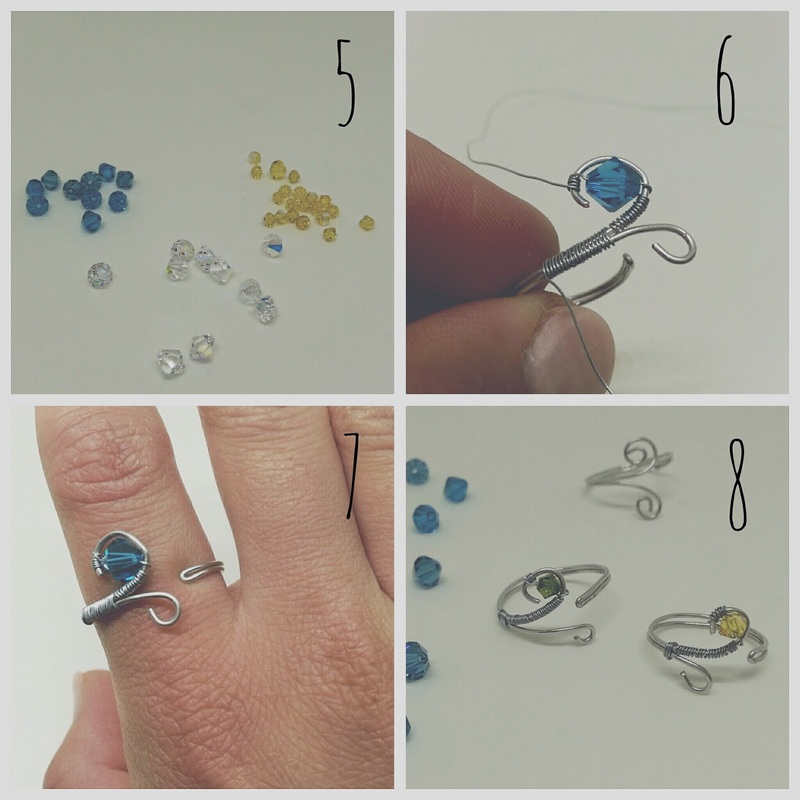 So, here is how to make a beautiful ring for yourself in just a few minutes. 1. First cut a length of the largest sized wire, (20 gauge) about 5 inches is good. Fold it in half and pinch the end close together, careful not to dent the wire. 2. 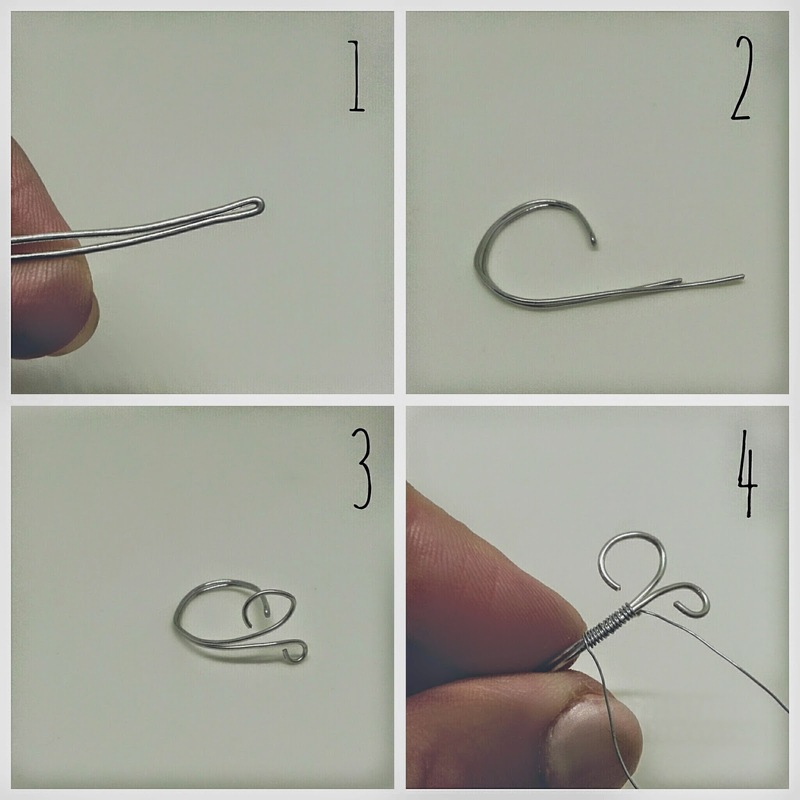 Bend the wire around your finger or a rod to get the desired size and round ring shape. 3. Next, using needle nose pliers, curve the end of the bottom wire piece into a small tight curl. You can trim the wire a little shorter to get it to the right proportion if it is too long. Bend up the top wire, making the curve a little larger to accommodate the size of your bead. 4. Now using the thinner wire, begin to tightly wrap it around both wires (the band) and then up the top wire until you reach the curve. 5. Select your bead and push the wire through the bead. 6. Then continue wrapping the wire on the other side. Draw the wire back through the bottom of the bead and cut the end of the wire as close as possible to the bead. 7. Finish off by snipping the other end of the thin wire (where you began wrapping) after pulling it through the space between the two wires that make up the band of the ring. 8. There are many variations of this style of wire ring. Different sizes for different fingers or even for my favorite, a delicate knuckle ring. You can even skip the wire wrap completely and just curl the wire ends.